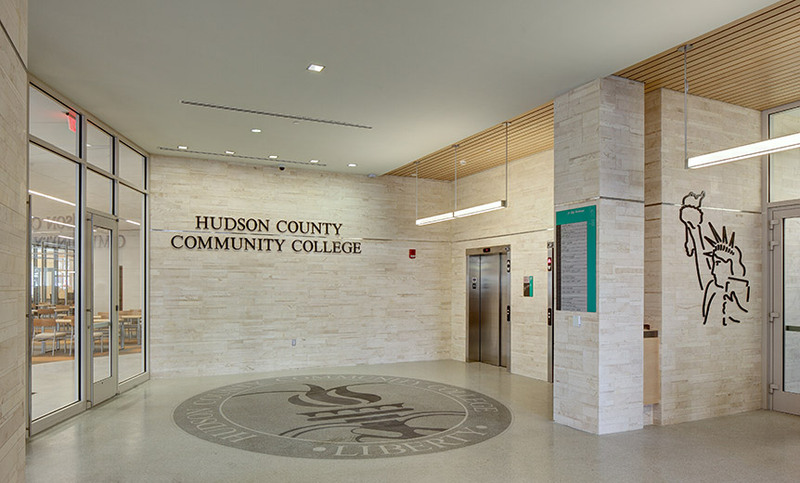 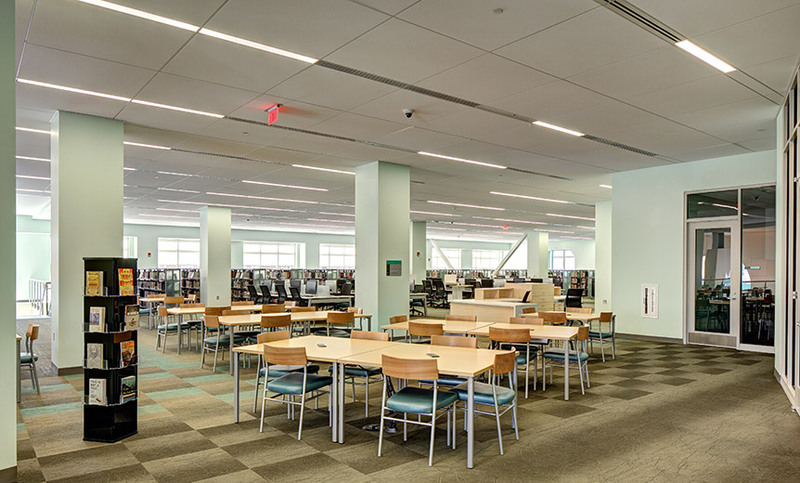 Hudson County Community College New Library - MAST Construction Services, Inc. 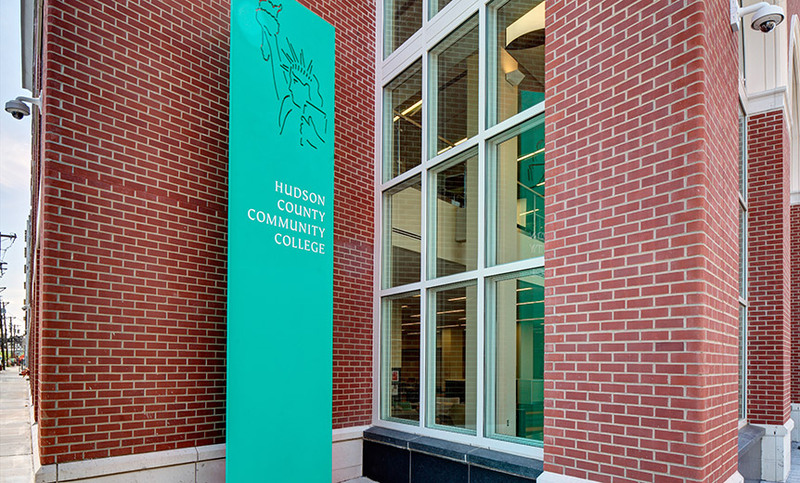 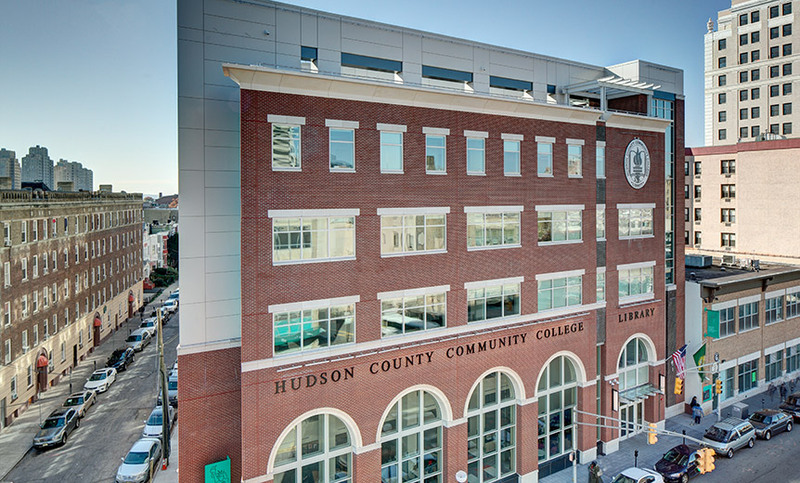 This project is the construction of a new 6-story Library and Classroom Building on 71 Sip Avenue that will become part of the Hudson County Community College campus. 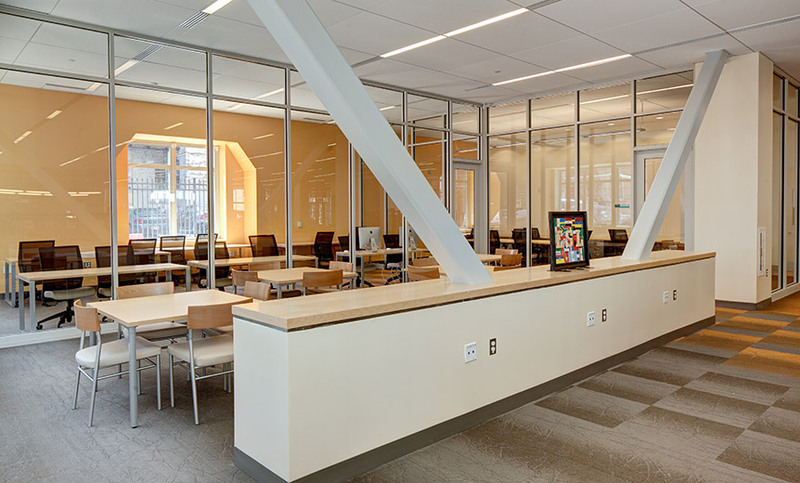 The third of the College’s from-the-ground-up construction efforts, the new building will include 117,000 SF of space and will house a 33,000 SF Library on the first two floors. 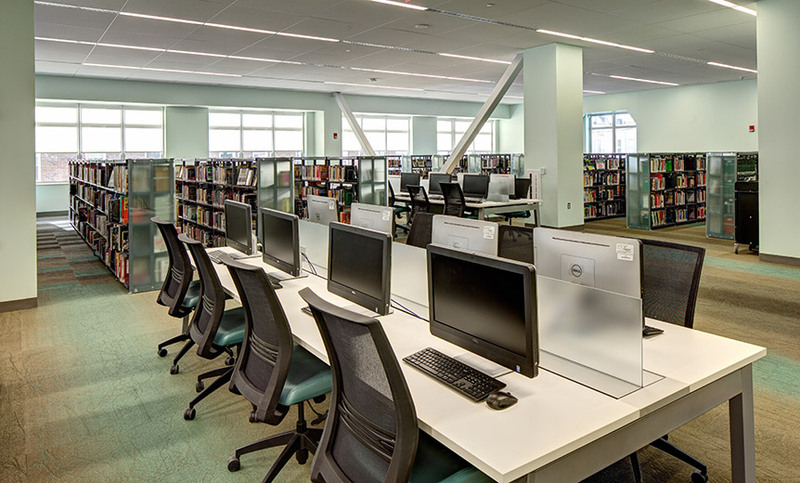 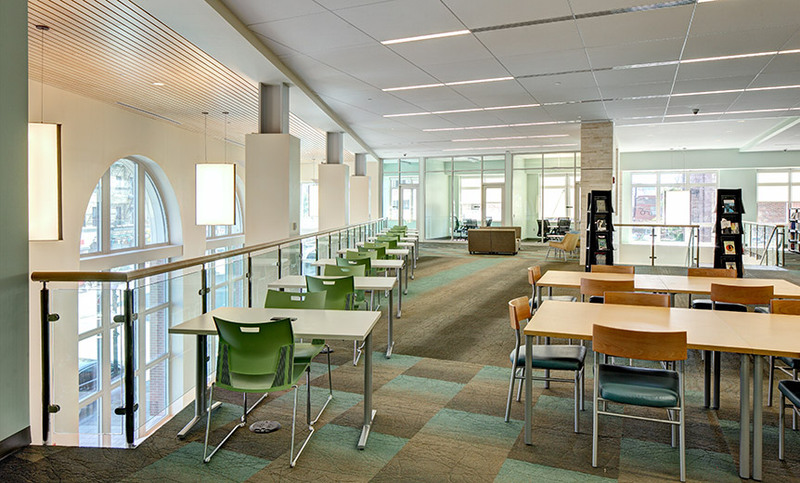 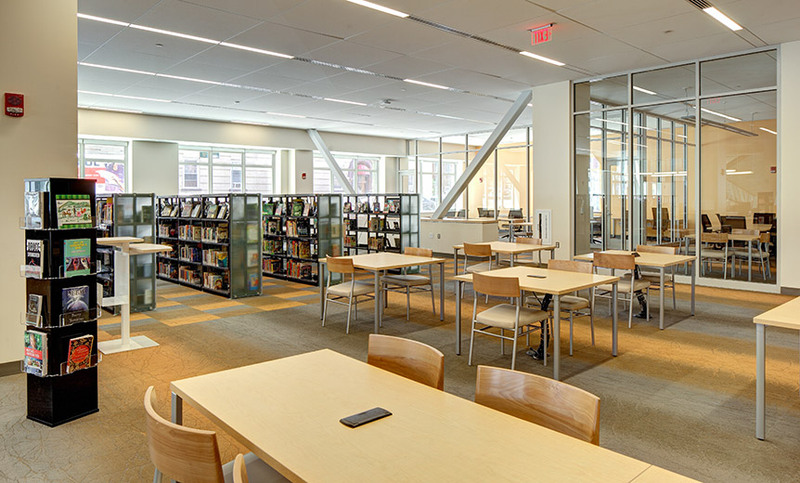 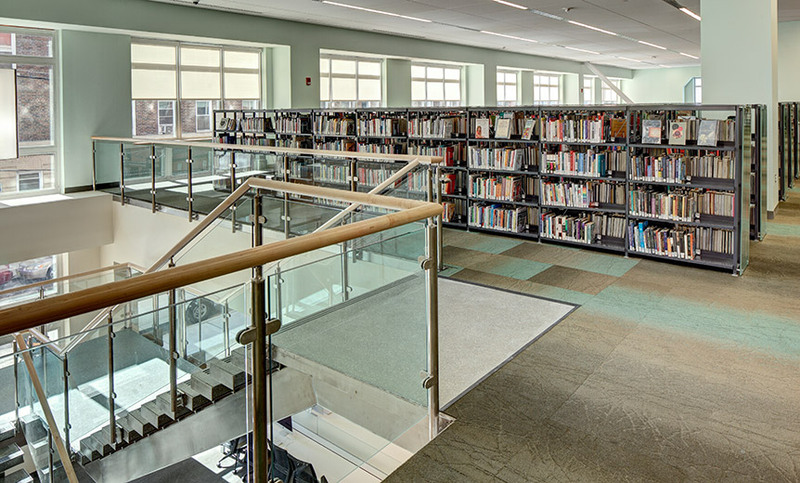 The Library space has been designed to accommodate traditional, printed collections as well as e-books and digital media, computer stations, wireless Internet service, power stations for laptops, and casual seating and a coffee bar for students, faculty and staff. 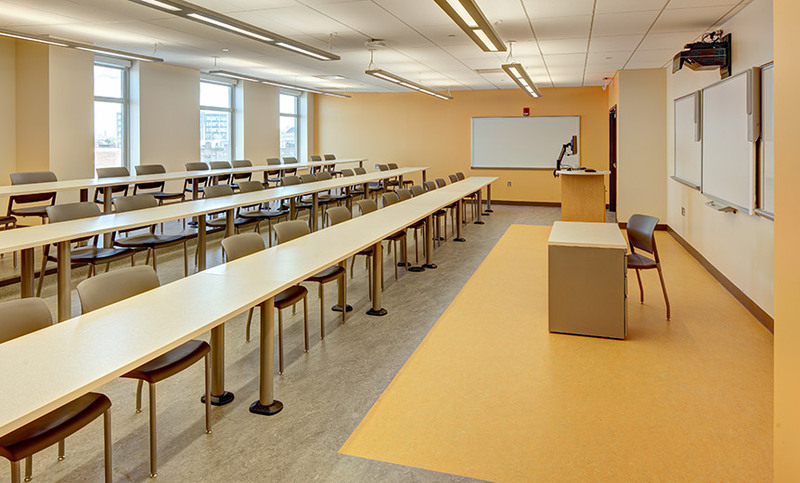 Floors three through five will house approximately 30 classrooms in traditional, computer lab and tiered lecture hall designs each to fit an average of 35 students and 3 faculty offices. 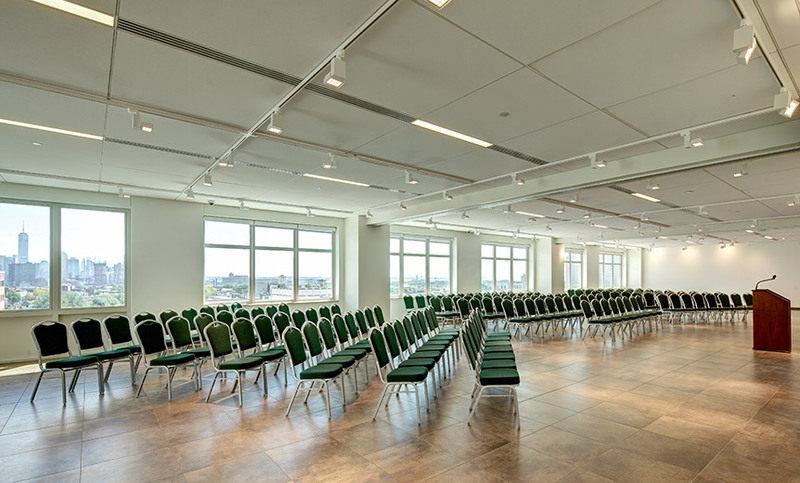 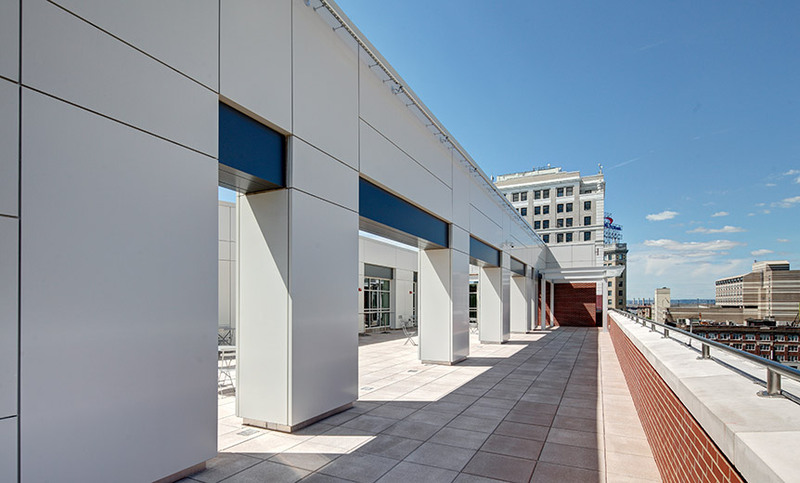 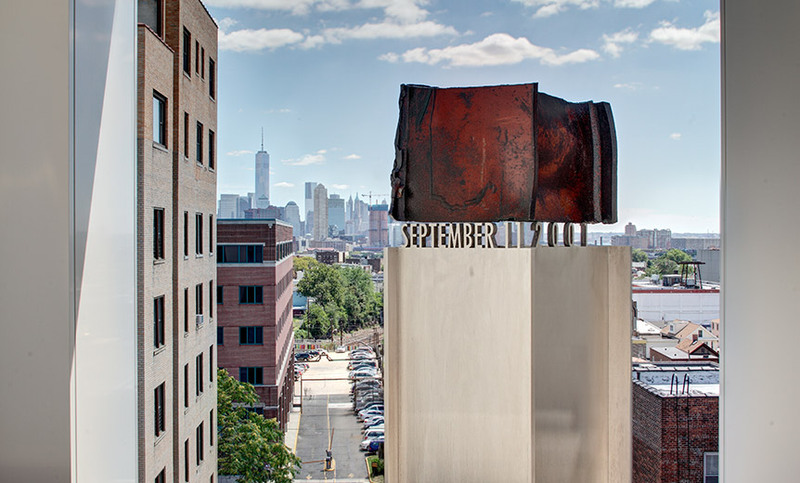 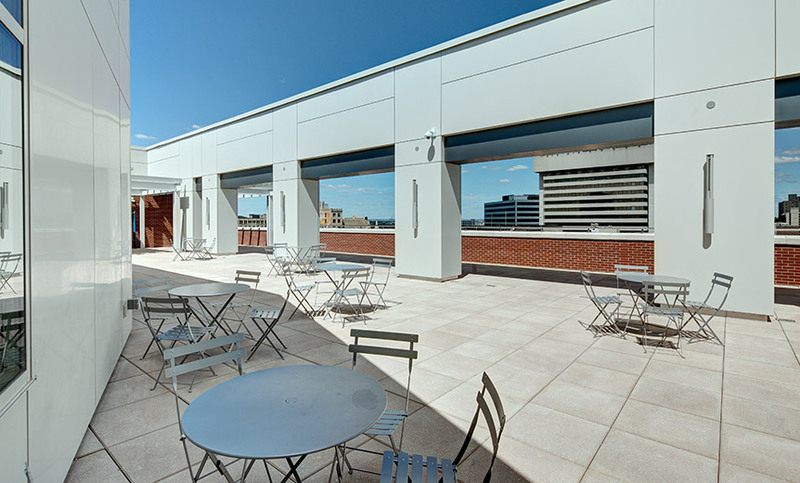 The top floor, which is stepped back from the street, will include a rooftop terrace with views of the New York Harbor and the Hudson and Hackensack Rivers, as well as a large lobby/exhibition area (for progressive art installations, lectures and student gatherings). 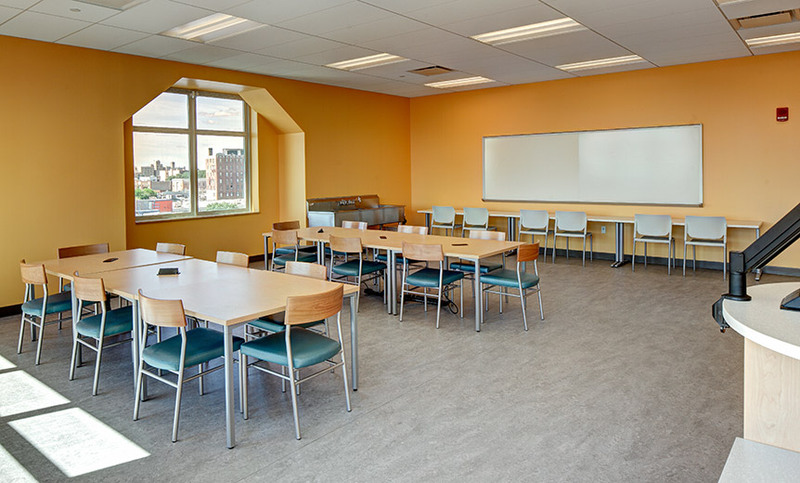 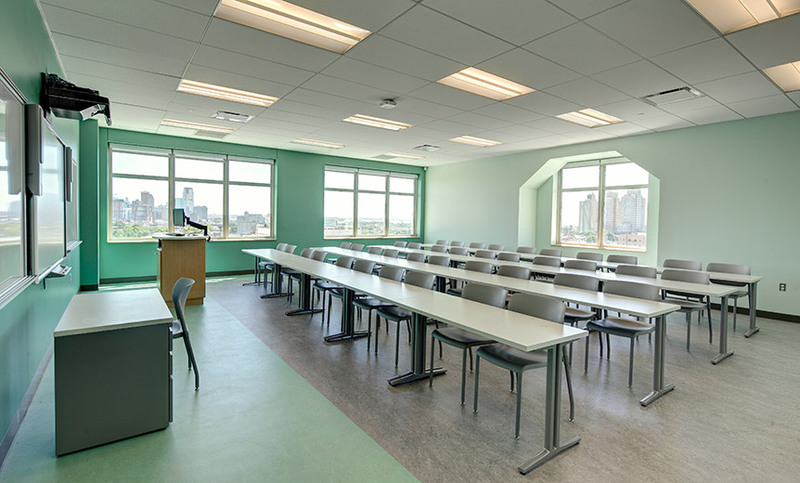 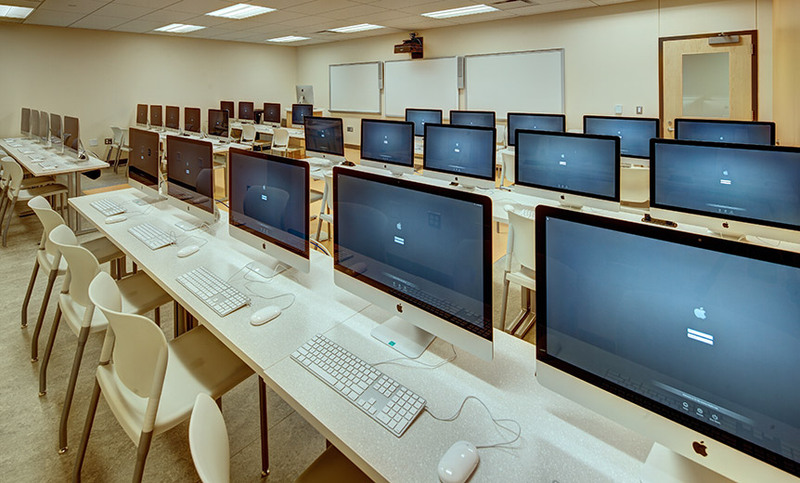 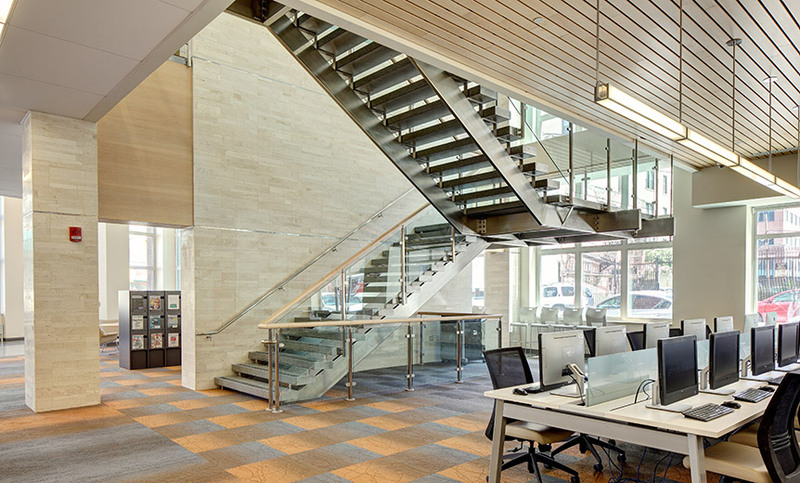 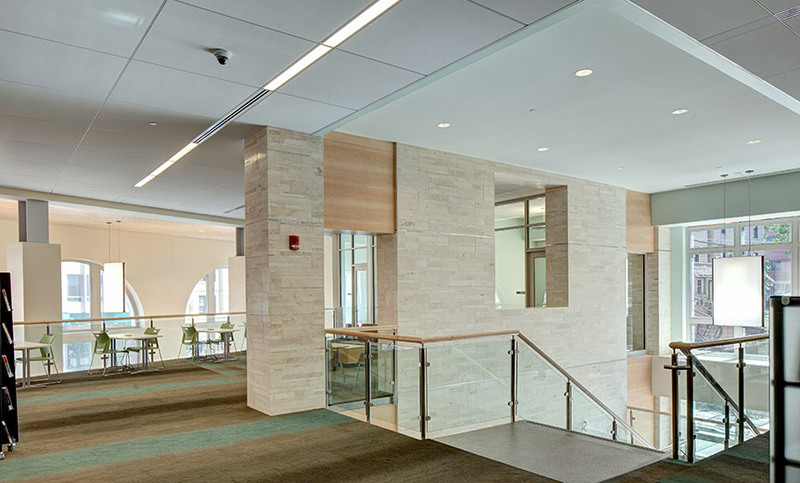 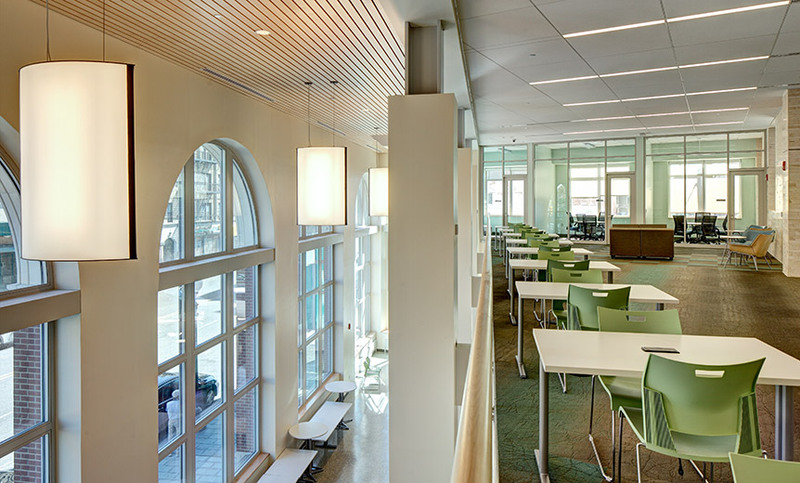 The top floor design includes three flexible-size classrooms with moveable partitions that will provide the College with a large venue for special events, programs and lectures.